This week’s Blogger Round-Up starts in the city of Nice on the French Riviera with Phoebe from Lou Messugo who shares her stunning photos of Nice Carnival. 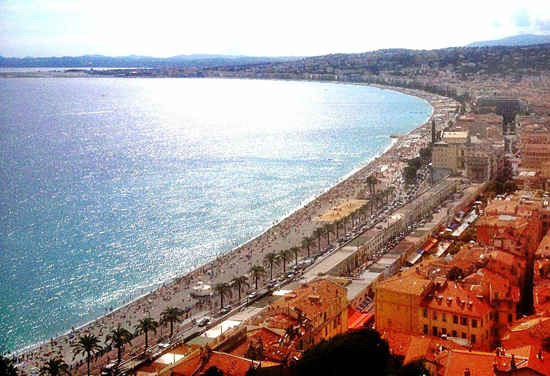 And to give you another view of Nice, Margo Lestz, writing for The Good Life France, explains the origin of The Bay of Angels and other place names. 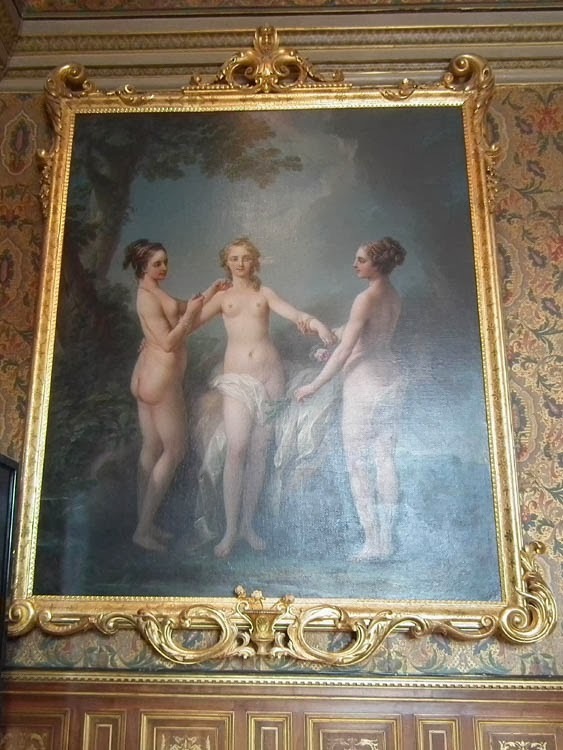 In a different part of the country altogether, Susan from Days on the Claise tells us the fascinating history of Van Loos’ painting of The Three Graces in Chenonceau. Enjoy! by Margo Lestz writing for The Good Life France, an independent on-line magazine about France and all things French, covering all aspects of daily life including healthcare, finance, utilities, education, property and a whole lot more. Margo lives in Nice, France where she likes to bask in the sunshine, study the French language and blog as thecuriousrambler. 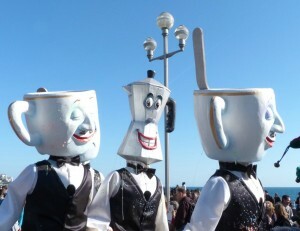 Many rich and famous tourists visit Nice every year, but according to a legend, the first visitors were actually Adam and Eve – yes, the ones from the Bible. by Susan from Days on the Claise, an Australian living in the south of the Loire Valley, writing about restoring an old house and the area and its history and running Loire Valley Time Travel. 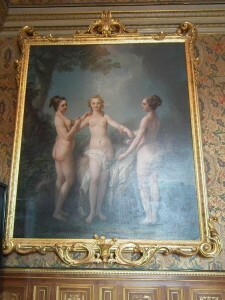 This entry was posted in Art, France, French customs, Loire Valley châteaux, Weekly Blogger Round-Up and tagged Bay of Angels, Nice carnival, The Three Graces. Bookmark the permalink. That reminds me of a church in Sofia which had to be below street level!